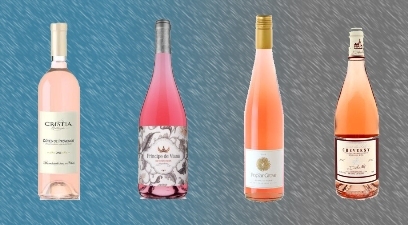 As summer is here, it is time for the rosés to take center stage. We have more rosés for you to choose from than ever before, the section has practically doubled from last year. We have many selections from the hotbed of France of course, but Italy, Austria, Spain, Portugal, Germany and Canada are all represented. Nothing is better for outdoor drinking than Rosés be it on the deck, a picnic, or a barbecue. Its nothing fancy or expensive, just something pink that gives great drinking pleasure. Have yourself a pink summer! 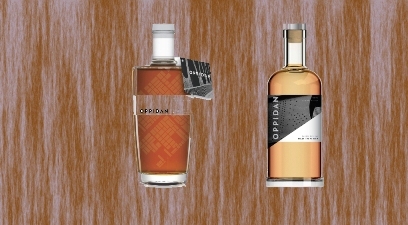 Oppidan Spirits is a trending ‘micro-distillery’ formed in 2015 and based in Wheeling, Illinois. Their focus here is a purists’ model, aiming to reveal all that make the whole. Two new award winning releases have landed in Alberta and we’re happy to present them to you. Second, the Barrel Reserve Old Tom Gin. Starting with their standard gin, a smoke element is added with barrel aging. Then, grapefruit peel was smoked over pecan wood, giving a nice smokey candied pecan note to the gin. From there, the gin was aged for 3 to 5 months in a combination of new and used cooperage to give a nice round oak flavor without dominating the spirit. Lastly, cold smoked maple and agave syrups transform the gin into an old tom gin and punch up the smoke profile. Sounds as good as it tastes. 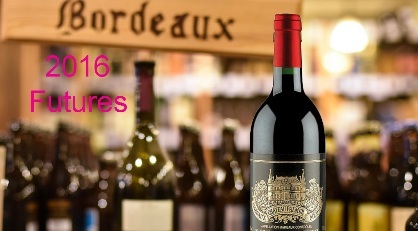 The 2016 Bordeaux Futures Campaign is now underway with over a dozen offers open. A lot has happened since our first blog, predominantly a huge spring frost not only in Bordeaux, but Champagne, Burgundy and Cognac all suffering damage. The right bank of Bordeaux was hard hit with already formed flowers shoots destroyed anywhere from 10-90%. 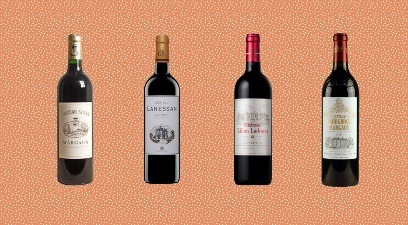 The affect of all this was a rise in prices for the 2016 Bordeaux releases that had just started releasing their futures. The offshoot is we’re seeing an increase of 10-15% across the board in prices. This coupled with the slumping Canadian dollar has made it very difficult to keep pricing the same as last year. With the Petit Chateaux and Cru Bourgeois, we’ve held pricing pretty much with only small increases, and we’ll see next week when a lot of the Grand Cru Classés will start to be released. The buzz is it is a slightly better vintage overall than the already spectacular 2015’s, with all appellations excellent. It is nice to have some St. Estephe wines on offer this year, as they were largely missing last year as the only not-up-to-par region in 2015. We will not likely have a third consecutive Futures campaign as the 2017 crop will be very small due to the devastating frost and likely very expensive. To see all the current offerings, click here.. Come back often as this page will be updated as new purchases are made. Also, learn about Bordeaux Futures and taste some wines from seven different appellations in our Bordeaux Futures Tasting, scheduled for Saturday, June 3rd – you can register here…. Bordeaux is one of the few wines in the world where they present their wines for sale long before it is even finished or bottled. It is called En Primeur (or Futures). deVine has had a tradition of offering the great wines from great Bordeaux vintages in our Futures program since the store’s inception. We have presented large Futures offerings for the heralded 2005, 2009, 2010 and 2015 vintages, with smaller offerings in 2008 and 2011. The 2016’s will rank with 2000, 2005, 2009, 2010 and 2015 as the best since the new millennium, so those of you wanting a great Bordeaux vintage in your cellars will want to participate in this years Futures offerings that we will be offering very shortly. Where the Northern Medoc was not at its best last year, the 2016’s are uniformly excellent in both left and right banks – St. Estephe is excellent in 2016 while St. Julien is the star. The pair of 2015 & 2016 is being compared to other great pairs of the past, namely 2009 & 2010 and before that 1989 & 1990 – that’s pretty awesome company. This is early yet, but it looks like prices will be very close to 2015 pricing with perhaps a small (<10%) increase. That's good news when compared to the extravagant 2009 & 2010's. Open tastings for critics has just finished and offers have begun with the small so called Petit Chateaux. The Wine Spectator and Wine Advocate scores are out now and the the entire campaign will run till mid June. Based on our discussions with all of you, we will offer wines to those who we’ve consulted with first (so you have first dibs), with whatever remaining that’s unsold then going onto the website for general sale, thus we offer wines first to those who’ve communicated their requirements to us beforehand. Beware who you buy futures from – this is like the stock market, wines are purchased years before they are even bottled and a lot can change in barrel – it is wise to consult with experts prior to purchasing and from those with a proven track record in En Primeur. We have been doing this for awhile and have delivered on every single bottle purchased from us En Primeur. Our free consultation will help you weed out from the masses of supply out there and provide you with some great Bordeaux for your cellar at the budget that suits you. Note we only offer wines for sale that we’ve actually purchased, so there is no speculation at play where every chateaux is on sale and are only purchased when someone wants it (at which point in time those wines may be already be sold out or the prices have escalated in second or third tranche pricing). As last year, we require full payment upfront (this locks the wine in irrespective of exchange rate fluctuations) and the wines will arrive in the store mid to fall of 2019. What is not sold in Futures program will be put on the shelf for sale upon their arrival at a 20% premium thus it is wise to buy now to ensure you get your hands on some and at a better price. This year, we’re also doing a Bordeaux Futures Tasting on Saturday, June 3rd at 7pm at the store – for those of you who want to learn about the Futures process, but more important to let you taste different wines from seven different Bordeaux appellations and from several vintages. Also keep coming back to our website for futures offerings real soon.